AWS Bio-Pharma Technologies announces their expanded partnership with M&O Perry (MOP), who specializes in aseptic powder & liquid filling and plastic syringe tip-filling equipment. While AWS and MOP have collaborated regularly through the years, we are committed to work even more closely going forward as both AWS & MOP continue to grow. Over the years, we have enjoyed working with MOP both as a client and a vendor. 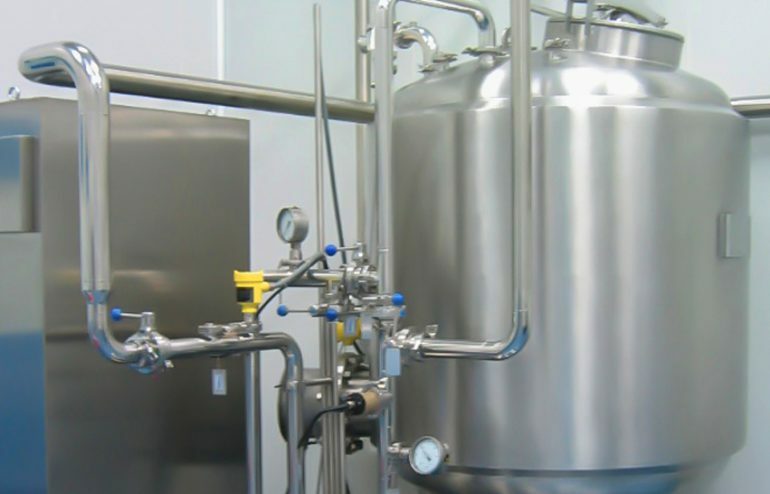 Additionally, MOP provides Parenteral Fillers, Cappers, Washers and Depyrogenation Tunnels for Pharmaceutical Processing. Our strategic partnerships with other pharmaceutical processing equipment manufacturers allow us to provide fully customized processing systems and cleanroom space, realized in our CLEAN3 Turn-key Systems which AWS Bio-Pharma Technologies exclusively distributes under the CLEAN3 Modular Systems brand. Convel’s BM Series Automatic Inspection System is used to detect particles and leaks in plastic bags. Other options include integrating a labeler or cosmetic controls. The operator positions the bags over an infeed belt between the slots. A pneumatic arm automatically collects the containers one at a time and positions them between the turret pinces. The turret moves intermittently through the four stations, each one performing a different test. The first station uses the high voltage method to perform the leak test. Next, the second and third stations both inspect the bags for foreign matter. Then the final station labels the plastic bags. The rejected bags are automatically expelled, while the accepted bags continue on toward the outfeed belt. Additional Controls: Flip-off Inspection, Label Presence Inspection, OCR-OCV and Bar Code Inspection. Other options available upon request. 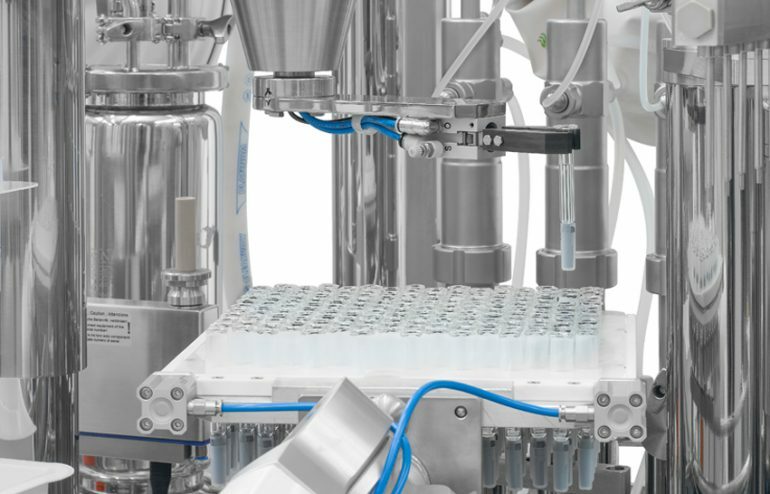 A complete compact system for processing vials, cartridges, syringes or ampoules. The system includes a Rotary Washer, Depyrogenation Tunnel, Filler/Stoppering/Capper System and Isolator or RABS. 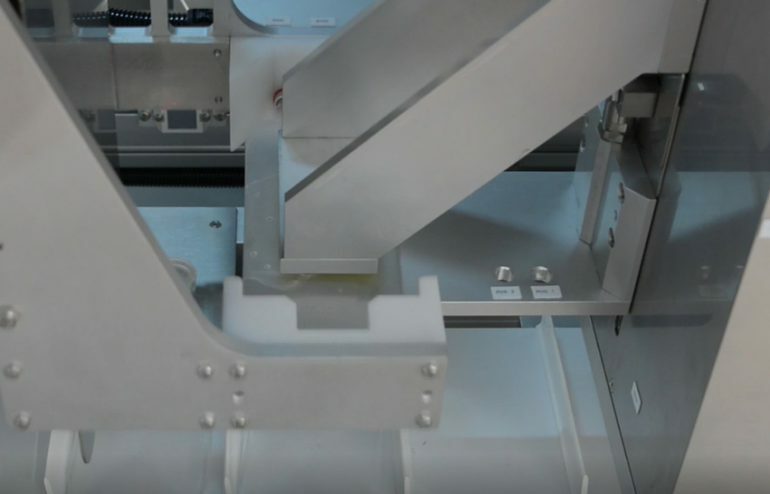 Our Complete Compact Filling line features the smallest foot print in the world, suitable for clinical manufacturing, laboratory and R and D applications. With a small foot print (less than 15 feet long), the only thing big about this system is the energy saving features it offers. Several models and options are available for a customized solution to your specific application. Steriline’s RA Series Rotary Washers utilize typical European style gripper mechanisms to handle the glassware, ensuring thorough and consistent washing. The washer is equipped with needles which are lifted to penetrate the glassware and then spray the appropriate washing and drying fluids. After washing, the glassware is up-righted and directly discharged onto the Depyrogenation Tunnel. The vials pass through the inlet chamber then enter the hot chamber where the depyrogenation process takes place. The glassware then enters the cooling chamber to cool down to a suitable temperature before discharge onto the rotary in-feed table of the filler. The filler can be equipped for any type of pump with several purging options. The filler and capper are separated to ensure process control over the separate functions. After filling, the vials can be immediately capped or removed for Lyophilization. Many options are available, including the ability to capper vials after lyophilization, 21 CFR Part 11 compliance, sterilizable cooling zone, various enclosure types over the filler, etc. 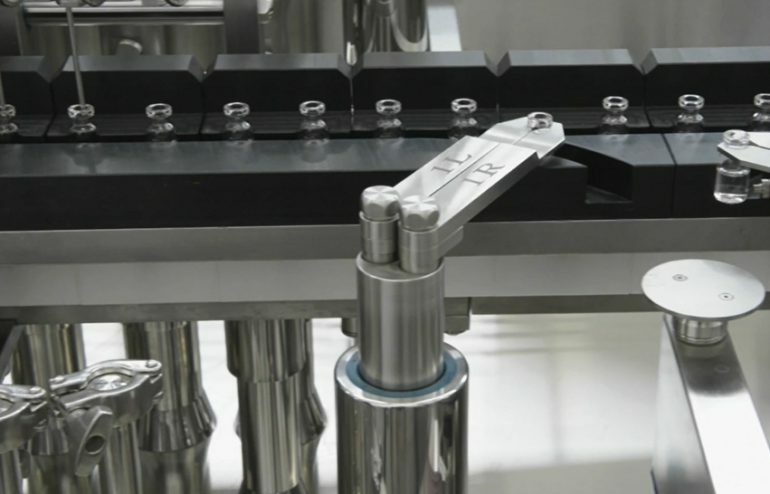 An exterior vial washer is also available to ensure the safety of your workers in downstream packaging areas. The depyrogenation tunnel has the added advantage of the air being recycled in each of the three chambers due to the absence of intake and exhaust ducts in the hot zone. The pressure differential between the cooling chamber and the inlet chamber allows for approximately 100 air changes per hour in each chamber. The highly accurate automatic control of air speed in the chambers and of the pressure control inside the tunnel has always been one of the greatest advantages of Steriline’s depyrogenation tunnels. Combine the compact line with other processing options and modular cleanrooms. AWS is pleased to announce that Chris Wernimont has joined our sales team here in North America as VP of Sales. Chris will be based in the Indianapolis area and will be responsible for sales primarily in the Midwestern region of the US. Likewise, he has many years of experience in pharma and is very excited to work with our team on our diverse range of aseptic filling products and support systems. In addition to his experience, Chris enjoys a well-earned solid reputation in our industry for being very knowledgeable and honest. Moreover, he is highly dedicated to delivering the best possible solution to each and every client. In the near future, Chris will be visiting all our partners to develop a better understanding of their equipment offerings. Further, he will have the opportunity to meet their staff and gain an overall sense of their capabilities and goals. 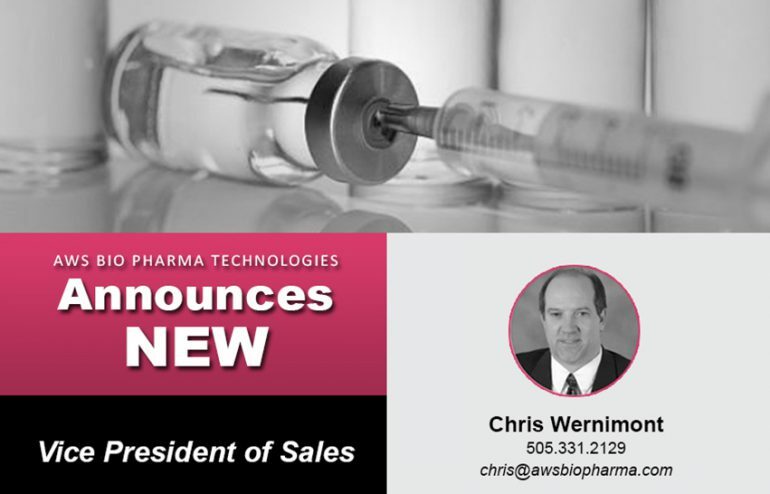 Please join us in welcoming Chris to AWS Bio-Pharma Technologies and feel free to reach out to him at any time.